Humboldt California is where the Green Gold project was founded in 2014. 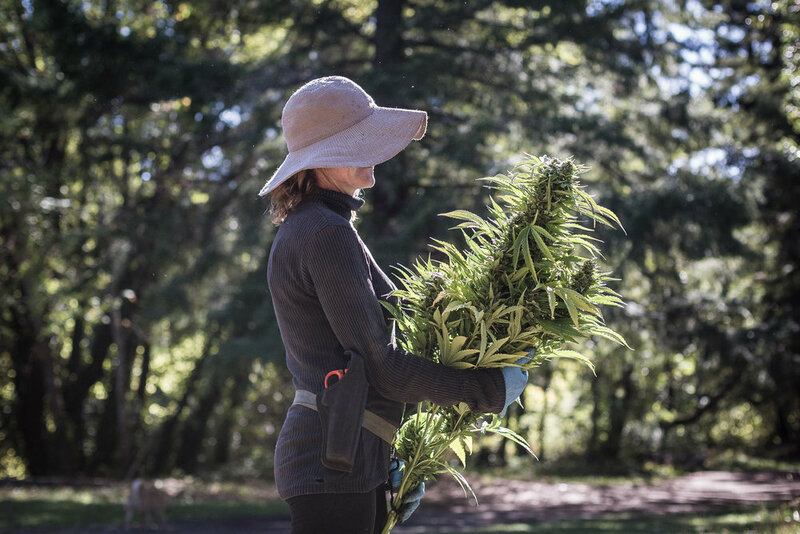 While in the rest of the U.S. scaling-up and mechanisation meant the end of the small farm lifestyle in Humboldt, California, this lifestyle is was still very vivid. Behind giant Redwoods and Douglas Spears small farmers grew their plants. 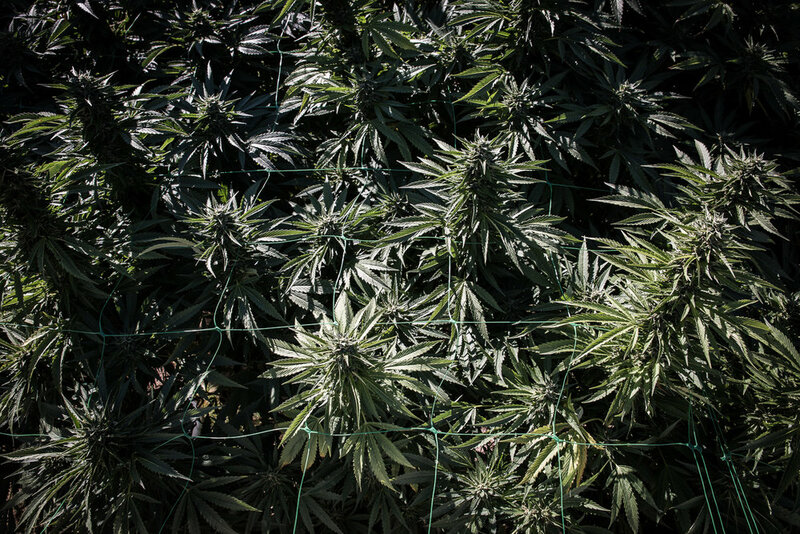 These plants are cannabis and the crop is weed. The weed grown in places close to Garberville, Redway and Benbow was spread through the country and smoked from coast to coast. 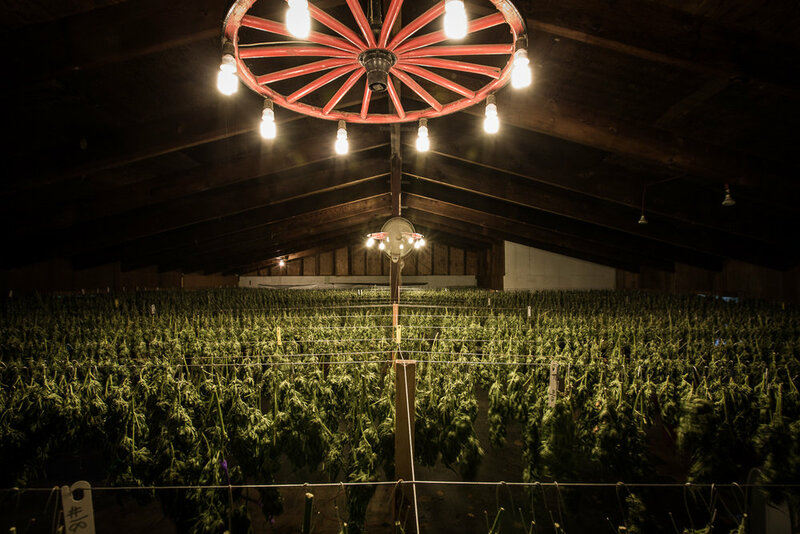 Humboldts’ green gold provides good money and forms the backbone of local economy. It were the hippies that brought the plant to the region. Over a period of forty years hippie cultured crossbred with local culture consisting of big 4x4’s, weapon ownership and a healthy suspicion against authority. 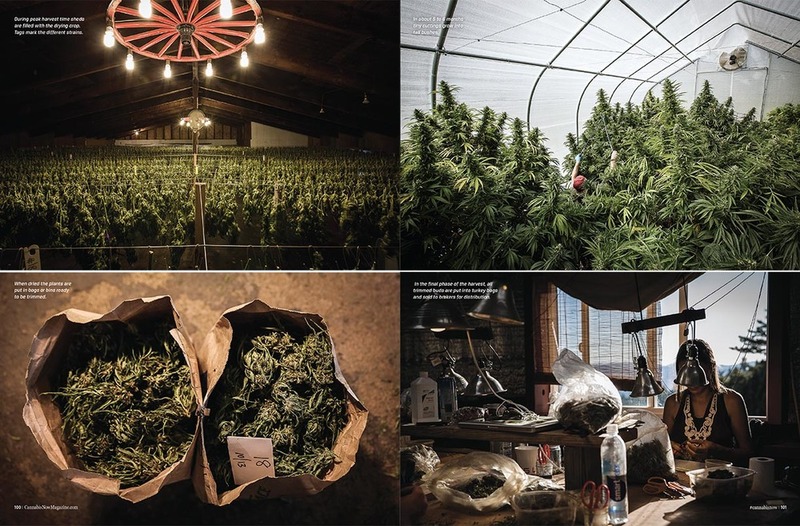 Weed farming in Northern California had it’s own cultural codes. Cherry picking was forbidden, even the most expensive of products were bought with cash and business conversations were made with burners. After the 2016 elections this all is slowly changing, but captured in the book Humboldt - Green Gold USA. Photographer Steef Fleur captured the harvest of 2014. The series she shot might be more beautiful than dangerous as you can ever imagine. Journalist Martin van de Velde provided the pictures with words. This work provides an insight in a subculture on the verge of extinction.